A comedy superhero film starring Vice Ganda, Pia Wurtzbach and Daniel Padilla directed by Joyce Bernal under ABS-CBN Film Productions, Viva Films and distributed by Star Cinema. Showing December 25, 2017. A story of gay (Vice Ganda) superhero who loves a normal life after losing his memory from battling villains. But he was forced to resume to being a superhero after Chino (Daniel Padilla) a speedster hero, was in danger. His deep affection for Chino bring other superheroes together to save their fellowman. 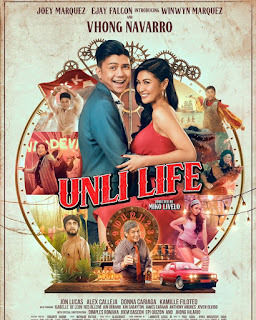 A fun pack action and hilarious film, Vice Ganda plays a different role her and with a special participation of Miss Universe, Pia Wurtzbach. For sure the movie is full of hilarious scenes and spills of joke that will make us laugh until we fell out of our seats. I recommend this movie for all families that would to spend their Christmas day laughing and having a great time. 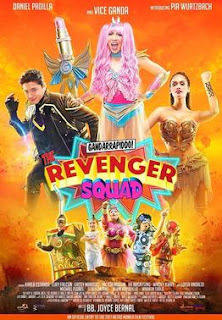 Gandarappido: The Revengers Squad is a must watch film.